In David McCullough’s Pulitzer Prize winning 1776, he writes of the astonishing physical prowess of our first president, something that was never mentioned to me during those sleepy afternoons in the fourth grade. At 6′ 2″ and 190 lbs (the average height of a man in this era was 5’9″), people at the time wrote of his imposing physical stature and commanding presence. 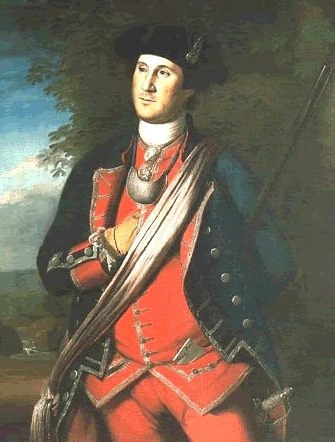 George Washington rode up and down the column urging his men forward. Suddenly the general’s horse slipped and started to fall on a steep and icy slope. “While passing a Slanting Slippery bank,” Lieutenant Bostwick remembered, “his excellency’s horse[‘s] hind feet both slip’d from under him.” The animal began to go down. Elisha Bostwick watched in fascination as Washington locked his fingers in the animal’s mane and hauled up its heavy head by brute force. He shifted its balance backward just enough to allow the horse to regain its hind footing on the treacherous road. Bostwick wrote that the general “seiz’d his horses Mane and the Horse recovered.” It was an extraordinary feat of strength, skill and timing; and another reason why his soldiers stood in awe of this man.